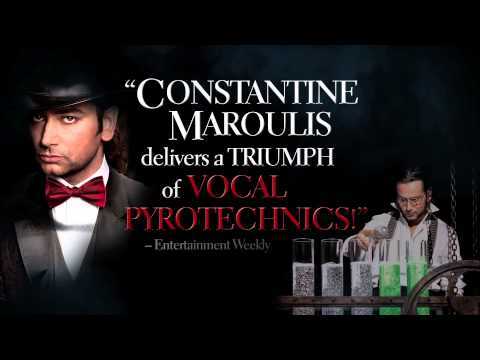 American Idol star and Tony® Award nominee Constantine Maroulis joins with Grammy® Award nominee and R&B superstar Deborah Cox to inject new life into the classic tale of good and evil, JEKYLL & HYDE. After four thrilling, chilling years on Broadway and multiple world-wide tours, this dark and dangerous love story from Tony® and Grammy® Award nominee Frank Wildhorn and Oscar® and Grammy® winner Leslie Bricusse returns in a stunning new production directed by Tony® nominee Jeff Calhoun that includes all the classic songs (This is the Moment, A New Life, Someone Like You) that first grabbed audiences by the throat and transformed JEKYLL & HYDE into a theatrical phenomenon. Its story remains as timeless as it is irresistible. A devoted man of science, Dr. Henry Jekyll is driven to find a chemical breakthrough that can solve some of mankind’s most challenging medical dilemmas. Rebuffed by the powers that be, he decides to make himself the subject of his own experimental treatments, accidentally unleashing his inner demons along with the man the world would come to know as Mr. Hyde. This brand new direction and choreography are the work of Tony Award® nominee Jeff Calhoun, who’s behind this season’s breakthrough Broadway hit, Newsies. Two red-hot star stars. One cold-blooded thriller. JEKYLL & HYDE. 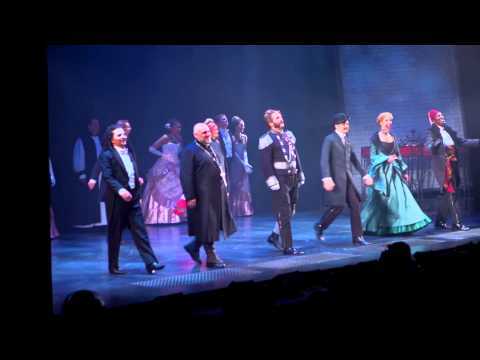 No musical has ever held you like this. Deborah Cox (Lucy) A multi-platinum selling and a multi-talented entertainer, Cox has conquered the R&B and pop charts, including six top-20 Billboard R&B singles, an impressive eleven #1 hits on Billboard’s Hot Dance Club Play chart and the lead role in Elton John and Tim Rice’s Broadway musical, Aida. While singing with Celine Dion, Cox was discovered by the infamous Clive Davis and instantly signed to Arista records. Her gold selling debut album Deborah Cox was released in 1995. In 1998 she followed up with the release of her second CD One Wish. From this CD came the double platinum “Nobody’s Supposed To Be Here” which held the record for being the longest running #1 R&B Single for 14 consecutive weeks and earned her a Lady of Soul and a Soul Train Award. Her second single “We Can’t Be Friends” also went to #1 on Billboard’s singles chart and sold over 500,000 copies. “Things Just Ain’t The Same” and “It’s Over Now” followed. Deborah has sung with Andrea Bocelli, toured with David Foster, Cyndi Lauper and Sarah Mac Lachlan with Lilith Fair. She was also invited to perform for First Lady Michelle Obama and most recently President Obama.